A 45-year-old Vero Beach woman was arrested after hitting her boyfriend with a closed fist. VERO BEACH – The Indian River County Sheriff’s Office received a call from the Lakes Of Vero subdivision about a disturbance. As deputies arrived, they found a man sitting on the grass outside the gate along SR60. The man, who called the police, was crying and upset. He said that his girlfriend, 45-year-old Linda Katherine Rodriguez, had “struck him in the side of his head with a closed fist, and hit him in the mouth with the house phone,” according to the report. The victim said Rodriguez allegedly has a drinking problem. They argued the night before over some Facebook items, and she accused him of being untrustworthy. The man kept spitting blood from an upper lip cut as he spoke with deputies. The victim said he had enough and attempted to leave the residence. “He stated that all he wanted to do was go back to the residence and collect his belongings and leave,” the report said. At the residence, a deputy made contact with Rodriguez. She was confrontational and would not allow the victim to get his belongings. She kept stating that he would have to settle the matter in civil court. Inside the residence, deputies noticed a broken lamp, an ashtray flipped over, and several beers cans were laying around. Rodriguez smelled of an alcoholic beverage and spoke with a slurred speech, according to the deputy. Rodriguez became angry and threatened the victim that he would never see his belongings again. Then, she showed deputies fresh scratches on her neck and said the victim grabbed her. The victim said the scratches were self-inflicted. Deputies couldn’t find any marks on the victim’s hands or fingernails. 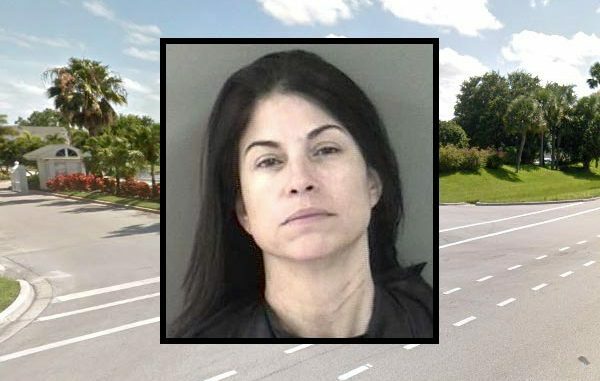 Rodriguez was arrested and transported to the Indian River County Jail where she was charged with battery domestic violence.